Today, the world lost a great woman, Mrs. Margaret Thatcher. 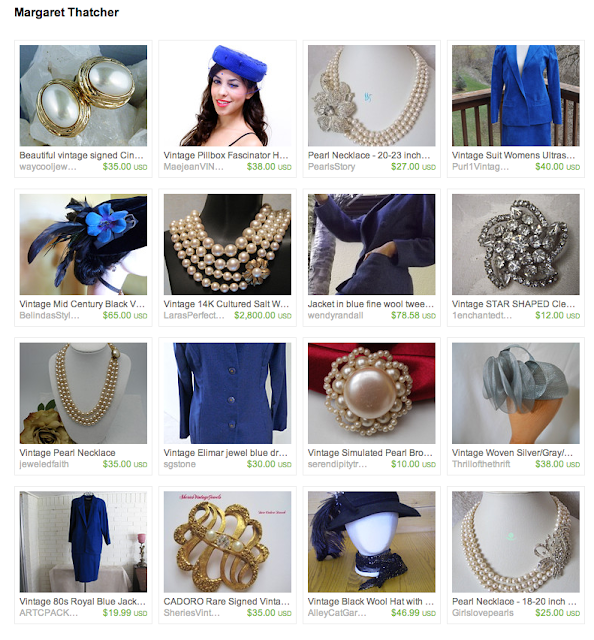 Find a tribute to her classic style of blue and pearls look in this Margaret Thatcher Treasury. Rest in peace Iron Lady!